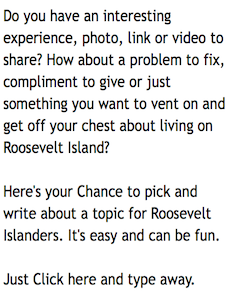 Today's Daily News has a profile of Roosevelt Island. Here are some highlights. With the luxury of more parkland than apartment buildings, the island should be an idyllic Manhattan location with magnificent skyline views of three boroughs. For residents, however, it can also mean living with complex community politics. "For the most part we have lived off the good graces of New York State for the better part of the past 30 years," says Judith Berdy, president of the island's Historical Society. 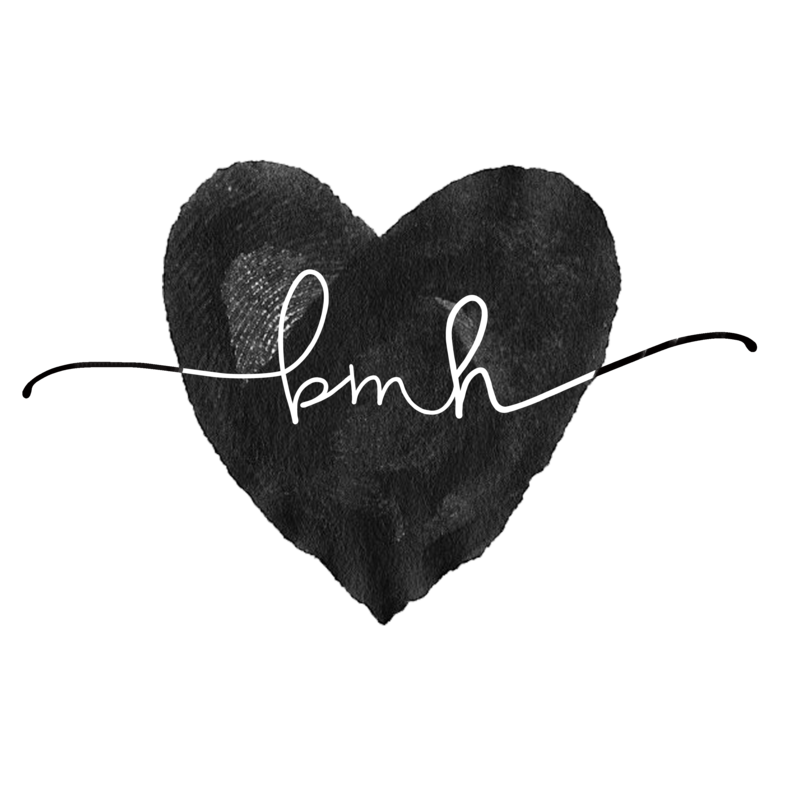 "There are some who think we have suffered. Politics is a disease out here," adds Berdy, who has lived in three residences on the island in that time. it's an urban ecological center with a small- town feel minutes from midtown. There is no other place in the world like it." "You cannot do everything at once," says Shane, who according to some has made more progress in six months than several of his predecessors did in several years. "People may have got spoiled out here. 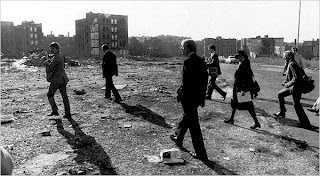 Sometimes I think the residents forget what it is to live in Manhattan, the Bronx or Queens." Nevertheless, renting retail space on Main St. is still a problem that needs fixing. Because of legislation enacted to prevent state-operated groups from committing fraud, it takes nine months to a year to go through the approval process to rent an 800-square-foot store on Roosevelt Island. 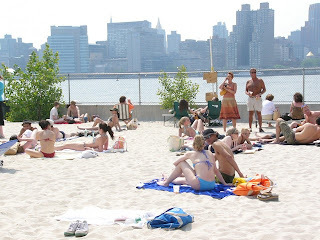 It's clear Roosevelt Island residents don't know how good they have it. Yes, they've worked hard to build a small-town feel and they deserve to maintain it, but they might want to try working with each other as opposed to against each other. This is a fantastic and peaceful place to live. Without the complaints, lawsuits, constant jockeying for political representation and state problems with the retail, the island has a chance to become an outdoor wonderland with a front-view view to the finest skyline in the world. What could look like Catalina Island off the coast of Los Angles or the South Street Seaport instead resembles abandoned retail stretches of the South Bronx circa 1976. It's depressing, and the state needs to take a look. As for the politics, I just hope the personal-interest groups don't turn a beautiful neighborhood into a hard place to live, or worse place to visit. Fact check - Roosevelt Island's local Red Bus costs 25 cents not $1 unless the reporter is breaking some news that we don't know about. through the 63rd Street tunnel, with a new terminus at 21st St./Queensbridge, would allow NYC Transit to increase service to Roosevelt Island by alternating Q trains with F trains, without adding any trains to the Queens Boulevard line. As elected officials representing the thousands of New Yorkers who live and work on Roosevelt Island, we urge you to address the developing crisis in the island’s mass transit link to Manhattan and the rest of New York City. Already, Roosevelt Islanders are faced with overcrowding on the island’s sole subway connection, the F line. With thousands more residents projected to join the island’s population in the near future, as well as a prolonged period of downtime planned for the Roosevelt Island tram, immediate action is required to prevent a transportation overload of critical proportions. New development already underway is projected to increase the island’s population by as much as 80% – to more than 18,000 – within the next ten years. Many of these new residents will be arriving within the next year. Further affecting the island’s transportation situation, the Roosevelt Island Operating Corporation is planning a major overhaul of its tram system, a project that will entail suspending tram operations for approximately six to nine months, beginning in early 2009. During this time, the estimated 4,000 – 4,500 daily tram users will be forced to use alternative means of transportation – and, as in the case of previous tram outages, the great majority of them will use the subway. Additionally, repairs currently being made to the F train line have often eliminated weekend subway service to the island. Since these repairs are expected to continue while the tram is taken out of service, it will be increasingly difficult for residents of Roosevelt Island to travel between their homes and the rest of the City. However, extending the Q line through the 63rd Street tunnel, with a new terminus at 21st St./Queensbridge, would allow NYC Transit to increase service to Roosevelt Island by alternating Q trains with F trains, without adding any trains to the Queens Boulevard line. It is our understanding that NYC Transit has, at times in the past, operated such a service via a currently-unused tunnel under Central Park. While we understand that this arrangement might eventually conflict with service plans for the Second Avenue line, we see no reason why it could not be undertaken as, at the very least, an interim measure. 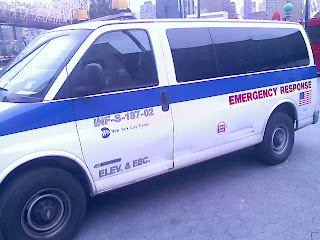 In your response to Councilmember Lappin you stated that “our recent data continues to show that, on average, the F line operates within passenger loading guidelines.” While this may be true – though it conflicts with the daily experience of Roosevelt Island residents who ride the F line – it strikes us as a somewhat shortsighted view of the problem, in light of the island’s rapid population growth and the impending overhaul of the tram. Given these realities, it is imperative that NYC Transit seriously consider ways to augment subway service to Roosevelt Island as soon as possible. We urge you to consider extending service on the Q line to 21st St./Queensbridge. If you believe this would not be practicable, we ask that you investigate alternate possibilities for increasing service to the rapidly growing population of Roosevelt Island. You Tube Video of Rope bridge on Nujiang River, Yunan Province China is here. Since it is Friday it must mean another weekend without full F Train subway service for Roosevelt Island. Just like last weekend and the two prior, there will be no Queens bound F Trains stopping at Roosevelt Island but there will be Manhattan bound F trains service from Roosevelt Island. 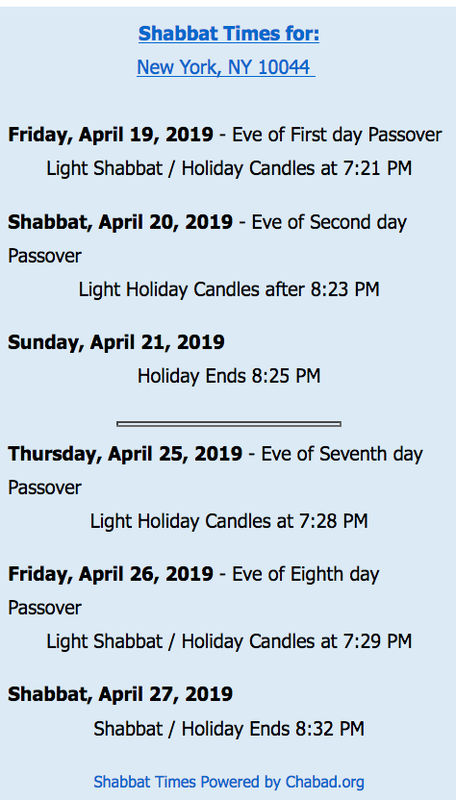 These service interruptions are scheduled to continue for one more weekend. Last week, our crack sources discovered this alternative MTA and RIOC plan to get Roosevelt Islanders over the East River in an emergency or as an alternative to the subway and when the Tram is shut down next year for at least 7 months for repairs. 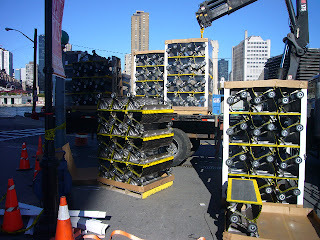 We now know of two more secret sites where testing is under way for Roosevelt Island alternative transportation systems. The one above is over the Nujiang River in Yunan Province China and the one below is over the Urubamba River in Peru. I certainly feel better now knowing that such plans are being considered for Roosevelt Island's future! You Tube video of Crossing Peru's Urubamba River in a box is here. Here is the MTA F Train weekend subway advisory. ~~ For service to 57 St, take the F to 5 Av-53 St and walk. 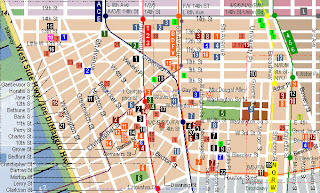 ~~ For service to Lexington Av-63 St, take the F to Lexington-53 St and transfer to an uptown 4 or 6 to 59 St and walk. ~~ For service to Roosevelt Island and 21-St Queensbridge, take the F to Roosevelt Av and transfer to a Manhattan-bound F.
~~ For service from 57 St, Lexington Av-63 St, Roosevelt Island, and 21 St-Queensbridge, take a downtown F to 47-50 Sts and transfer to a Queens-bound F.
to operate safely along the F line. Below is unedited statement by Assembly Member Micah Kellner addressing the rescission of Fair Market Value Equivalency Tax bills recently issued to the Rivercross, Westview and Island House buildings. “Yesterday, Empire State Development Corporation (ESDC) Chairman Patrick J. Foye announced that after considering the input of residents, owners, and local elected officials, ESDC has decided to rescind the tax bills sent last September to Westview, Island House, and Rivercross and to continue to allow the buildings to receive their tax exemptions as long as they remain in the Mitchell-Lama program. I’m glad to see, after six months of playing keystones cops, that the administration has finally come to its senses and rescinded this unfair tax bill. “When the tax bills were first received, they put the future of affordability for Mitchell-Lamas on Roosevelt Island in peril. I immediately wrote to the Governor expressing my frustration over the disparate treatment that Roosevelt Island residents were receiving. Every other Mitchell-Lama in New York City receives this tax exemption, and Roosevelt Island should not be treated any differently. 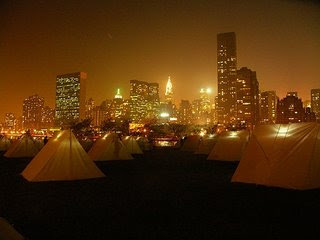 In 2005, after authorization from the State Legislature, the New York City Council passed Resolution No. 388-A, extending real property tax exemptions for 50 more years to housing companies if their buildings remain in the Mitchell-Lama program. Rivercross, Westview, and Island House are still in that program. “I could never understand how the administration could argue that threatening to raise taxes was an appropriate tactic to bullying struggling tenants and shareholders into remaining in the Mitchell-Lama program. This was a dangerous game of chicken that could have gone horribly wrong, costing thousands of families their homes. “Sadly, ESDC was driving this process blind because they did not have all the facts. 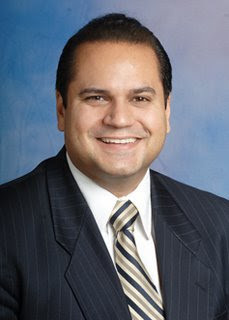 When it was clear that the administration was not aware of the impact the tax bill would have on the standing of Rivercross’ Community Preservation Corporation loan – it might have caused Rivercross to be forced to raise maintenance levels for shareholders by as much as 60% – I made sure that they were informed. I’m glad to see that everyone is finally on the same page. I only wish that it had not taken six months and that Roosevelt Islanders could have been spared the frustration and the anxiety that comes from your home being threatened. Today is an extemely bad day for the subway escalators at Roosevelt Island. Ten Escalators are out of service. Ten out of Ten. This is absolutely ridiculous and who ever the station manager is should be in big trouble for not demanding repair crews working all night to fix the escaltors that are not even under construction. MTA elevator status page is here. What happened to these new escalators just installed? The core of an escalator is a pair of chains, looped around two pairs of gears. An electric motor turns the drive gears at the top, which rotate the chain loops. A typical escalator uses a 100 horsepower motor to rotate the gears. The motor and chain system are housed inside the truss, a metal structure extending between two floors. Instead of moving a flat surface, as in a conveyer belt, the chain loops move a series of steps. The coolest thing about an escalator is the way these steps move. As the chains move, the steps always stay level. At the top and bottom of the escalator, the steps collapse on each other, creating a flat platform. This makes it easier to get on and off the escalator. You Tube Escalator video is here. UPDATE - 9:20 PM: MTA Emergency Escalator SWAT team to the rescue. MTA elevator status page is now reporting only 6 of the 10 Roosevelt Island escalators are out of service. • Unexpected increases for market rate tenants? 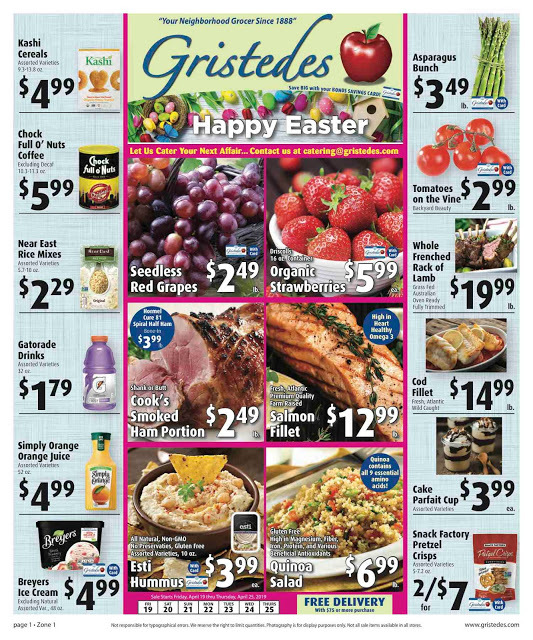 • Problems with enhanced vouchers? • Unresponsiveness from government agencies? Housing Court, and Legal Director Paul Kushner at EIS. NYU Ante's Up $43 Million For Roosevelt Island Faculty Housing - If You Subsidize, Will Profs Leave Greenwich Village for Roosevelt Island? "We're trying to create another community on Roosevelt Island," said Sara Goonan, finance director for faculty housing and residential services. "It's kind of like the suburbs in the city. It's so close; it's only 20 minutes on the subway to NYU, but it's so pretty and quiet." ...free up rentals and provide a new option for incoming faculty, Goonan said. In 2005, faculty housing offered a loan program that was intended to help faculty purchase their own homes in exchange for moving out of NYU rentals. However, only 10 faculty members signed up for the program, Goonan said. To date only 12 of the 58 units have been sold to faculty members. Is NYU having trouble persuading faculty members currently living in Greenwich Village to hop on the F Train to Roosevelt Island even with below market condo prices? ...feels the presence of "professional folk" on the island is an asset. "I think if [the NYU faculty] can expand themselves into thinking of this as more than just a bedroom community, they will find a very rich society out here," he said. However, Katz and many other island residents are unhappy about aspects of the new upscale developments that are going up on the island, including Riverwalk. "We don't want to be a gentrified community," he said. "We don't want to be a gated community." I say welcome to the hood Profs and jump right in - the water is fine right here. 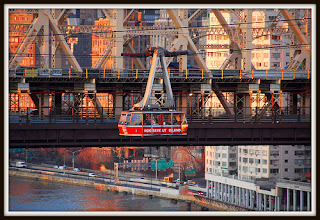 I thought this was a nice photo of the Roosevelt Island Tram from a perspective one does not usually see facing the 59th Street Bridge. Last Night's CPB 8 Meeting - Trust Kahn or Kahn Go Home? Nothing much got settled at last night's Community Planning Board 8 Roosevelt Island Committee meeting on Southpoint Park and the proposed Louis Kahn/FDR memorial. It was an opportunity for the proponents and opponents of the project to express their positions to members of the Community Board which is a very good thing. For the most part, the Community Board members were not aware of the issues or history of the project but were very interested in learning which is also a good thing. None of the other item agendas such as the future of Coler- Goldwater hospital or Roosevelt Island transportation issues were discussed since the entire 2 plus hours were spent on the Kahn project. What is clear from last night event is that this is about the Louis Kahn Memorial not a Franklin Delano Roosevelt memorial. those who oppose the Kahn design do not understand it and are not qualified to judge it unless they are architects. In the words of one advocate for the design "Trust Kahn". 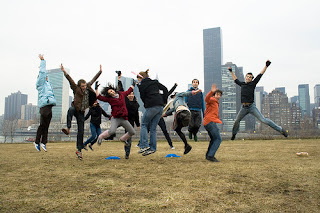 state that Roosevelt Island residents and users of Southpoint Park do have a greater say in the outcome since we will have to live with the ultimate decision on the fate of Southpoint Park on a daily basis unlike others who may visit once in their life and funds earmarked from Roosevelt Island are being used to pay for the park. object to the claim that only architects can judge the Kahn design as an example of elitist snobbery at it's very worst. Roosevelt Island 360 has an excellent summary of the evening as well as some additional images of the Kahn design. 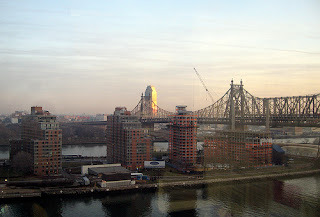 There will be a Roosevelt Island Town Hall meeting on this sometime is February or March. 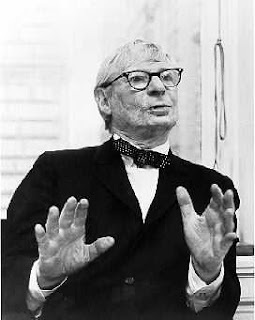 Image of Louis Kahn from Design 20. 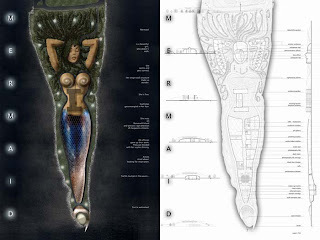 Gorgeous Mermaid Comes Ashore at Southpoint Park, Roosevelt Island - Can She Save Waterfront Views From Louis Kahn/FDR Mausoleum? the future development of Southpoint Park including the proposed Louis Kahn/FDR Mausoleum. Sorry, they call it a Memorial. An advertisement in the 1/12/08 Main Street WIRE (PDF File) announced that proponents of the Louis Kahn/FDR memorial were bringing some heavy hitters - Franklin & Eleanor Roosevelt Institute Founder William vanden Heuvel and architect James Polshek - out to Roosevelt Island to attend the community board meeting and advocate on behalf of their cherished project. As an aside, I wonder when was the last time during the prior 35 years of failure to build the Kahn project that either of these gentlemen visited Roosevelt Island or talked to some of the residents and users of Southpoint Park. As readers of this blog know, I and many others are adamantly opposed to the Kahn project because it will block and destroy unique one-of-a-kind waterfront views from Southpoint Park of the East River and Brooklyn/Queens/Manhattan Skyline. This is the view as currently exists from Southpoint Park. V-shaped promenades leading to an open space with granite walls, framing views to the south and west of the river and Manhattan towers, including the U.N. complex. 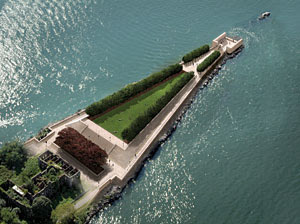 It is precisely the intended "framing views" of the design which destroys the open panoramic beauty of the East River waterfront and New York City skyline views that currently exists at Southpoint Park and is the reason why the Louis Kahn project must not be built at the proposed site. Yes, let us honor President Roosevelt but not by going against his express wishes which is what the Kahn design does. 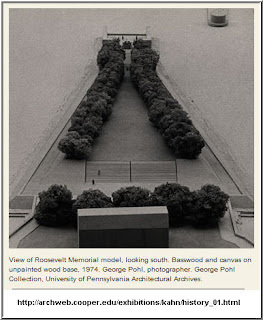 Any number of honors would be more appropriate than the Kahn design such as naming Southpoint Park for him and/or placing a more appropriate memorial, perhaps by the Coler-Goldwater Rehabilitation Hospital, to him on Roosevelt Island such as this on the National Mall in Washington D.C. 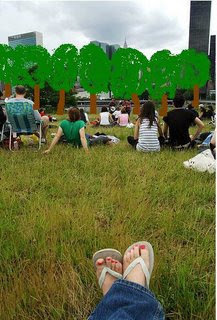 Finally for now, Roosevelt Island residents and the people of NYC deserve to have a real waterfront park at Southpoint. 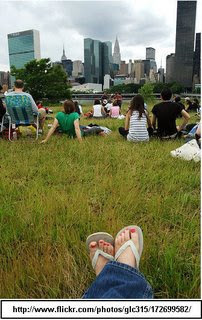 A place where you can enjoy open and unbroken views of the East River and New York City skyline, throw a Frisbee, have a catch, fly a kite, view outdoor movies, maybe have a summer beach like that at Long Island City's Water Taxi Beach, attend temporary exhibits like the public art installation of The Encampment and just have some fun. Roosevelt Island is a residential neighborhood and not a place for memorials like those at the National Mall in Washington DC. 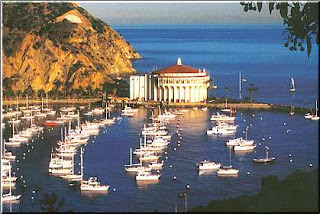 Image of Water Taxi Beach from Eater. Here's hoping that the Southpoint Park mermaid will be able to stop the Louis Kahn memorial just as Marina, the mermaid from the 1983 Bill Forsyth movie Local Hero starring Peter Reigert and Burt Lancaster, was able to stop the destruction of a small Scottish fishing village from the building of an Oil refinery. 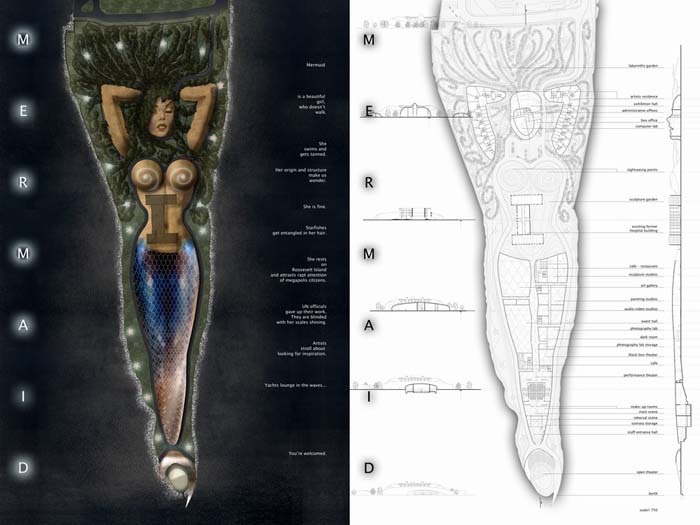 The Mermaid image is from a submission to a 2006 architectural competition sponsored by the Emerging New York Architects Committee (ENYA) titled Southpoint: From Ruin to Rejuvenation. The submission was from Moscow based RAKURS Architects. 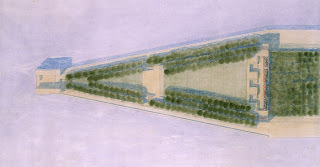 and his take with the Kahn/FDR Memorial' V shaped Linden trees. 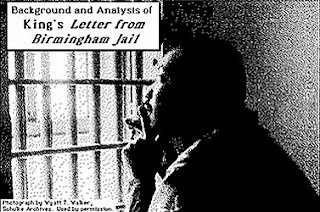 An excerpt from his 1963 "Letter from a Birmingham Jail". Here is audio of the Birmingham letter.